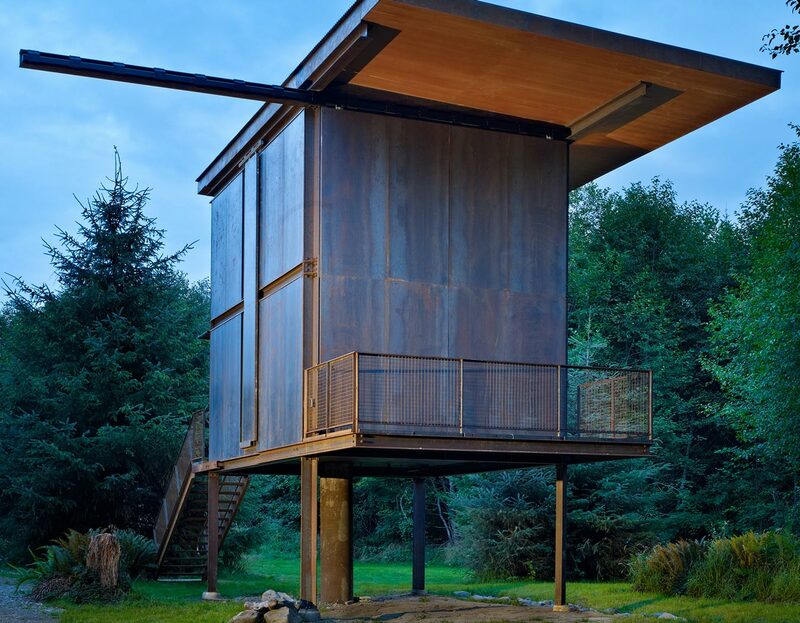 Located on the Olympic Peninsula, this steel-clad 350 square foot cabin on stilts designed by Tom Kundig, can be completely shuttered when the owner is away. 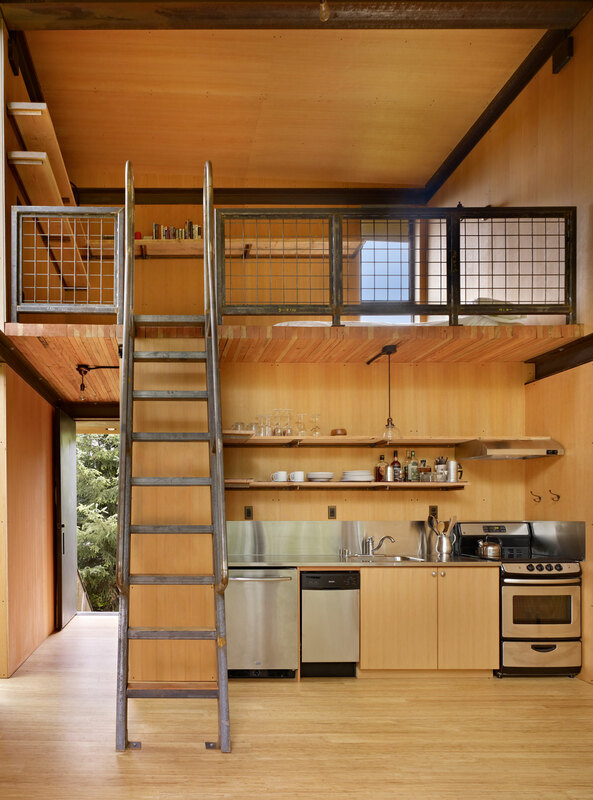 Most of the structure was prefabricated offsite, thereby reducing on-site waste and site disruption. 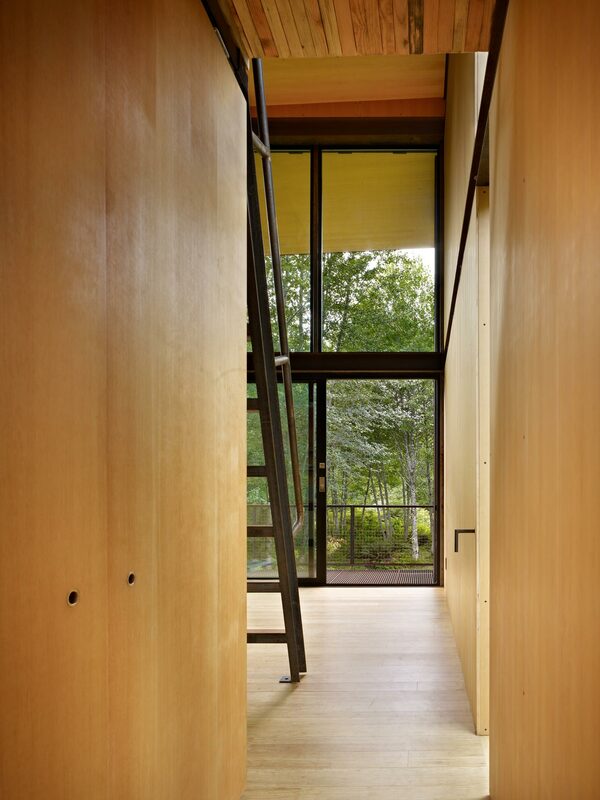 Prefabrication kept typical construction wastage to a minimum. 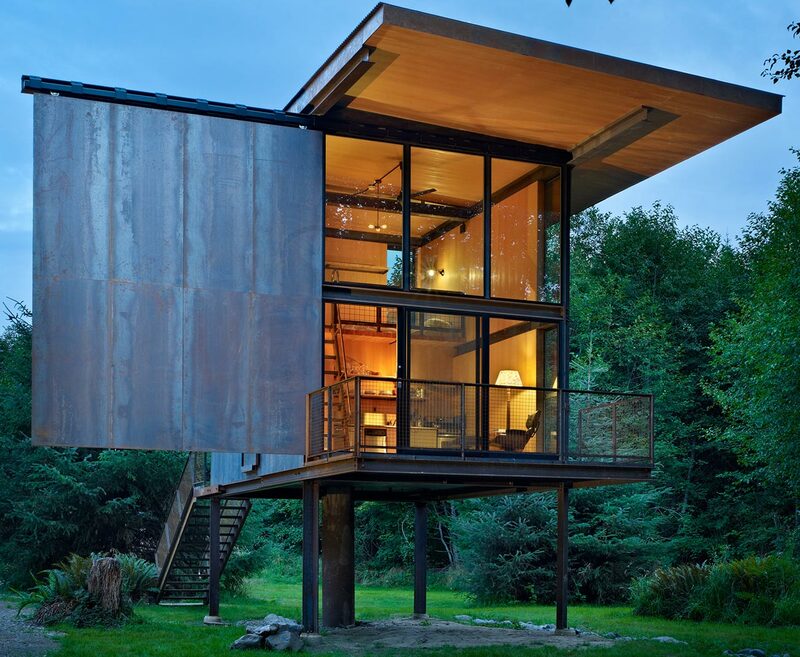 The cabin's rugged patina and raw materiality respond to the surrounding wilderness while its verticality provides a safe haven during occasional floods from the nearby river. 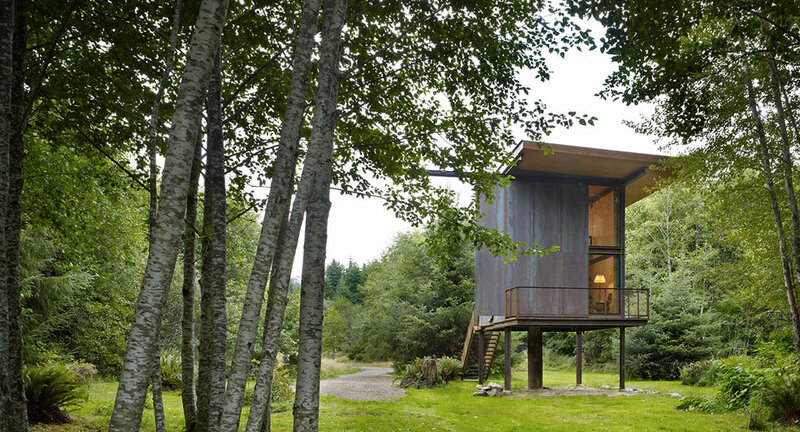 Sol Duc Cabin's cantilevered roof provides solar shading and protection from the strong coastal storms from the west.